Liverpool Music Week organisers announce next wave of acts to play plus details of their opening and closing party, Getintothis’ Peter Guy weighs up another week off work. 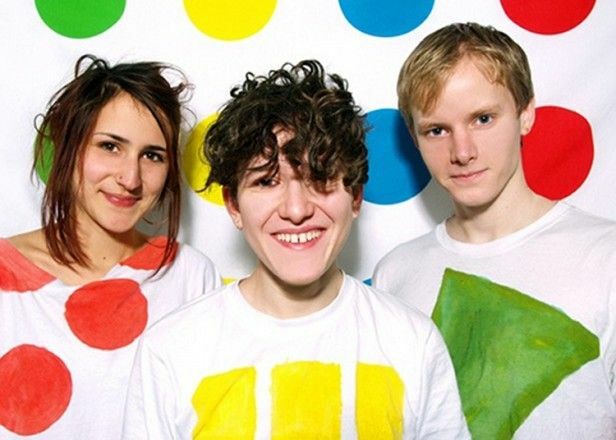 Liverpool Music Week have added Micachu And The Shapes, LA Priest, Holy Holy and Darkstar to the 9-day festival. The raft of new artists join the likes of headliners Godspeed You! Black Emperor plus Best Coast, Deerhunter, HEALTH and Gang Of Four for the nine-day festival kicking off with the Opening Party at the Kazimier on October 23. The Opening Party will also feature Outfit and Jam City alongside the already announced Holly Herndon who will play across the Kazimier Club, Rat Alley and newly added Arts Academy Space used earlier this summer during FestEvol. Josh T Pearson’s show, meanwhile, will take place at the beautiful surroundings of the Scandinavian Church which has previously hosted the likes of Patrick Wolf and Ed Harcourt. Added to the Closing Party show on October 31 at Camp & Furnace are Baio, Spring King and GIT Award 2015 winners All We Are. Finally, as part of Liverpool Irish Festival, an exclusive collaboration between Stealing Sheep and Immix ensemble plus contemporary dancers Fearghus Ó Conchúir and Aoife McAtamney will take place at the Bluecoat on October 25. October 23: Liverpool Music Week Opening Party at Kazimier Club, new Arts Academy Space and Rat Alley feat. Holly Herndon, Micachu and The Shapes, Outfit, Darkstar, Jam City. £15. October 25: Stealing Sheep with Immix Ensemble with dance performance by Fearghus Ó Conchúir & Aoife McAtamney at The Bluecoat. £7. October 25: HEALTH at The Kazimier. £10. October 27: Godspeed You! Black Emperor at Camp & Furnace. £22. October 28: Josh T Pearson at Scandinavian Church. £18.50. October 30: Best Coast at The Kazimier. £10. 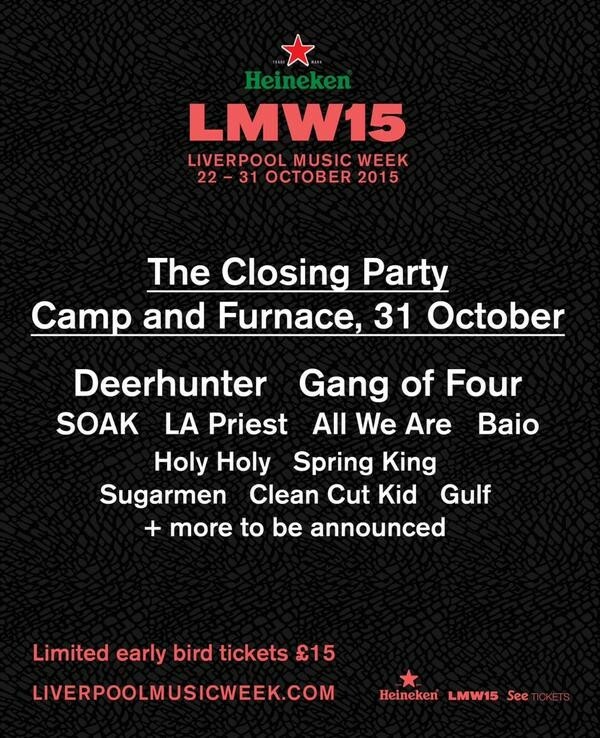 October 31: Closing Party at Camp & Furnace feat Deerhunter, Gang Of Four, Soak, LA Priest, All We Are, Baio, Holy Holy, Spring King. £15 early bird tickets.